February Meeting – Field Trip Meeting! 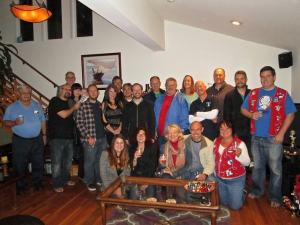 February’s meeting will be held at Brouwerij West in San Pedro. 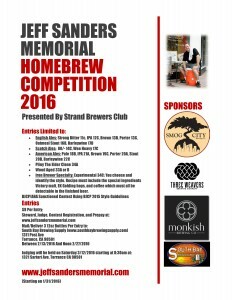 Homebrew is welcome and encouraged, however please leave all commercial beer at home. See you there! 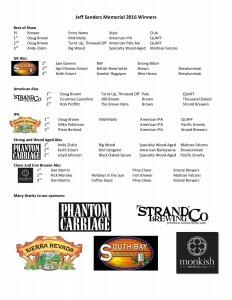 Iron Brewer Ingredients – Announced! This month the final Friday will be at Rob Rubens brewing and distilling in El Segundo CA. More details are on facebook. Hope to see you there. Remember the April meeting is at Honest Abe Hard Cider (17800 S Main St #105, Carson, California 90248) not South Bay Brewing Supply. See you there! Results are in! Congratulations to all the winners, and thanks to all the sponsors. Remember the meeting tomorrow 2/10 at 7:00 PM at South Bay Brewing Supply. It should be a great meeting. As part of the educational segment of the meeting I am bringing 5 saisons made from the same wort. That is right not 1 or 2 or 3 or 4 but 5! For volunteering 2 hours (or 1 hour on Sunday) you will not be required to pay for a SCHF registration fee($35). But to go to SCHF you will still need to be a member of CHA. 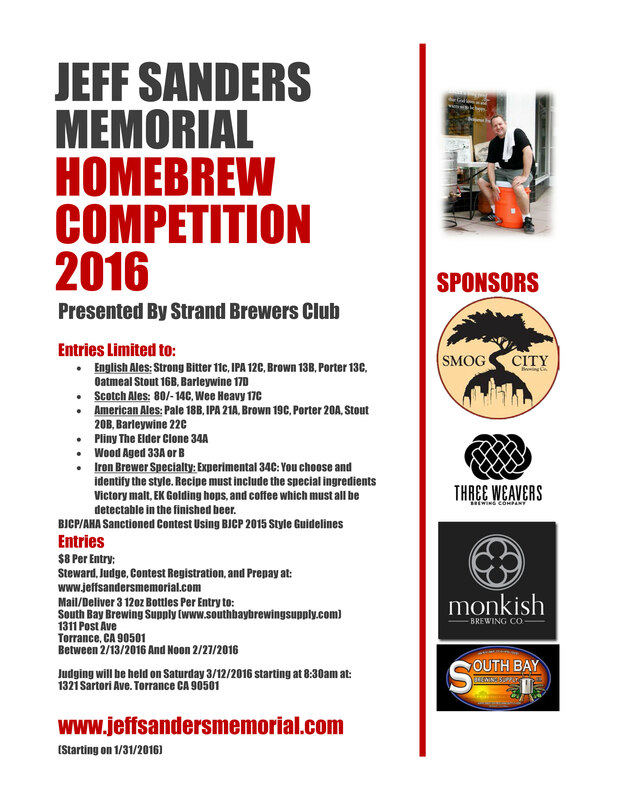 Strand Brewers Club has reserved 9 campsites for SCHF and there is still room for more campers. If you haven’t been to SCHF before it is a great time. 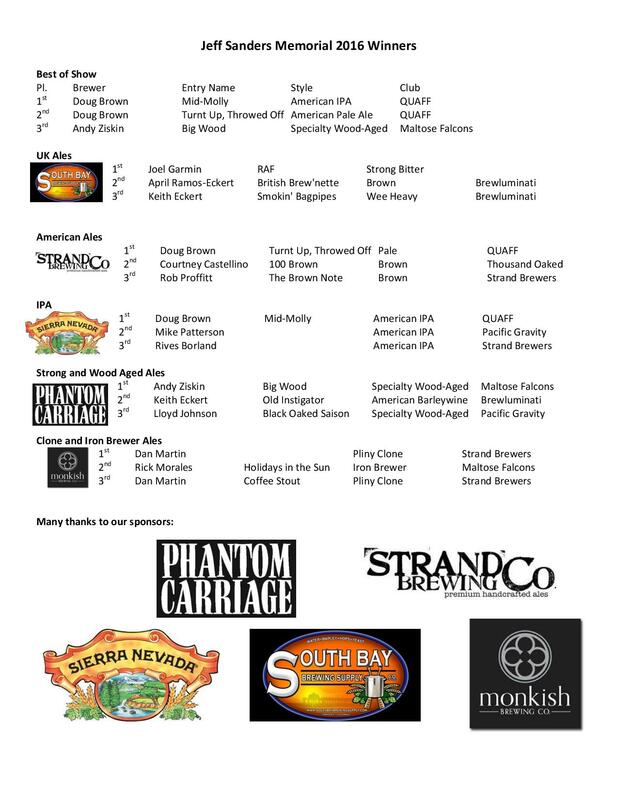 And as usual Strand will have the 22 tap bar and be pouring beer at the festival. Check the January Dregs for more details. Hey Everybody! The January 2016 Edition of The Dregs has been posted. Thank you to Steve and Christie for hosting a fabulous party! We had 10 beers on tap including La Memoire and Cuvee du Strand and more bottles of homebrew, mead, and commercial beer. I know we didn’t get everyone at the party in the picture but here are some of the Strand Brewers from the party.